Join us on what is truly a trip of a lifetime to the end of the world! This one-of-a-kind and extraordinary trip starts with your arrival in Buenos Aires, one of the most fascinating and seductive cities of the world. 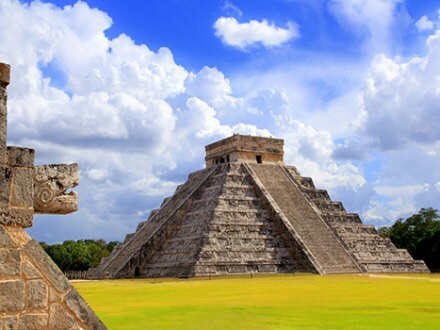 You will travel to one of the greatest natural wonders of the world and visit Iguazu Falls and the National Parks in both Argentina and Brasil. 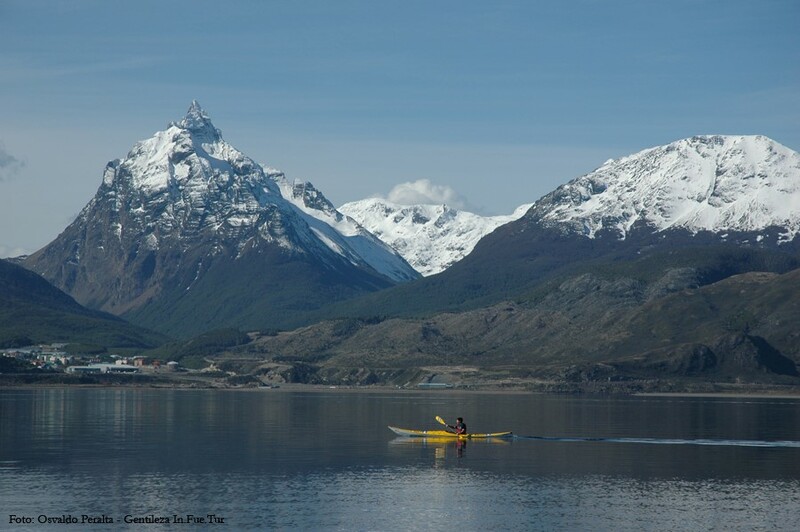 Visit the world-famous lakes region in Bariloche, paradise for outdoor and nature enthusiasts. 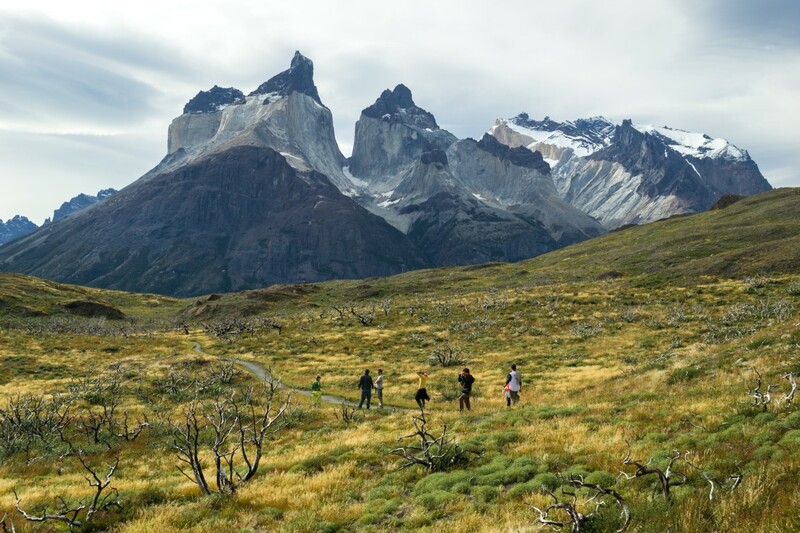 Trek on one the incredibly beautiful and wondrous Perito Moreno Glacier before visiting arguably the world’s most beautiful and remote national park – Torres del Paine. 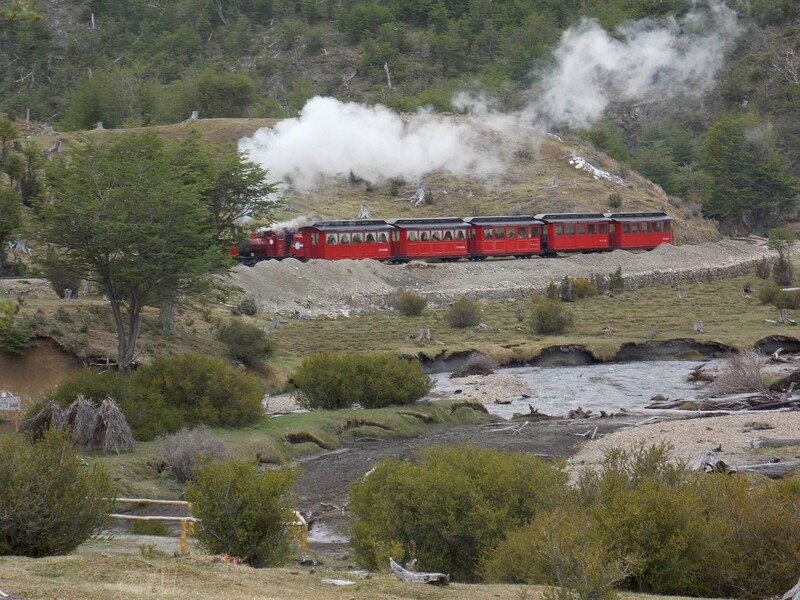 Conclude your dream trip to Patagonia by traveling to Usuaia and the End of the World with a visit to Tierra del Fuego National via the historic train and a boat trip through the Beagle Channel. 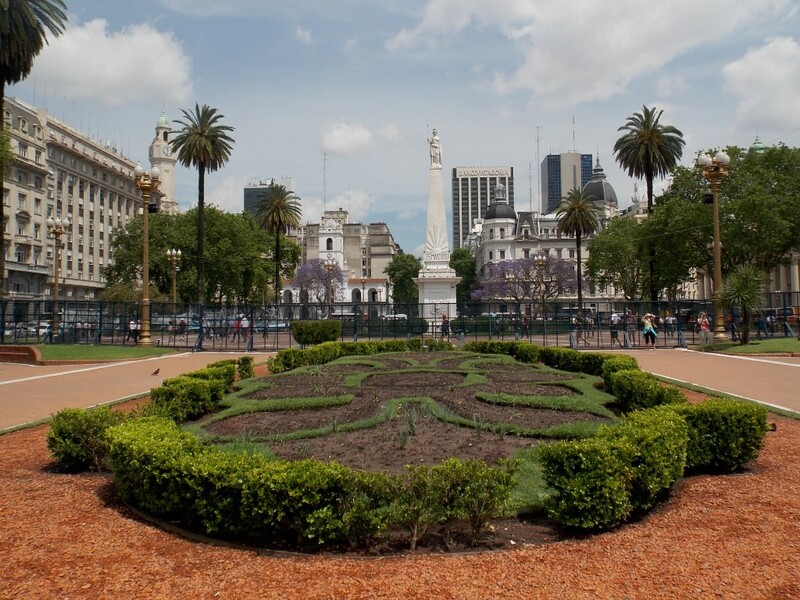 Upon arrival to Buenos Aires you will have a private transfer to your centrally located hotel. The rest of the day and evening is free to rest, relax, and have dinner at a venue of your choice. 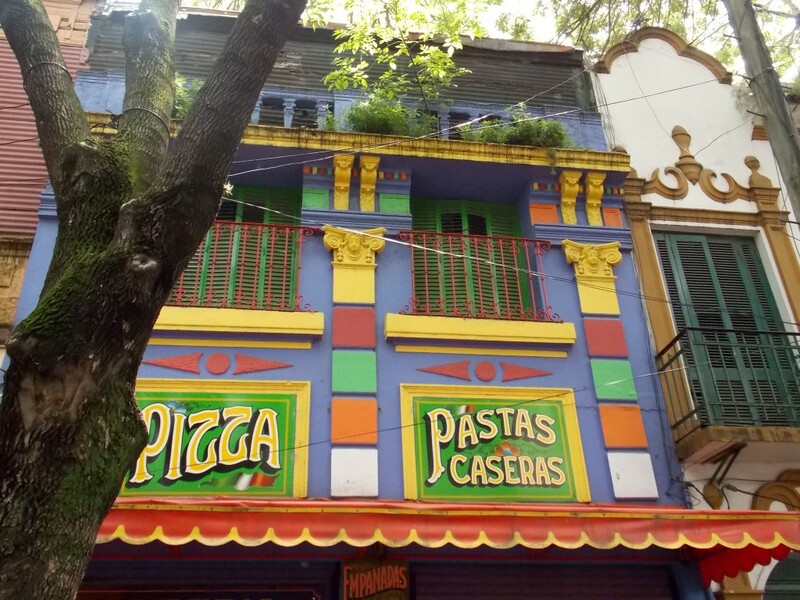 Following breakfast you will be met by your guide for a private city tour of Buenos Aires. 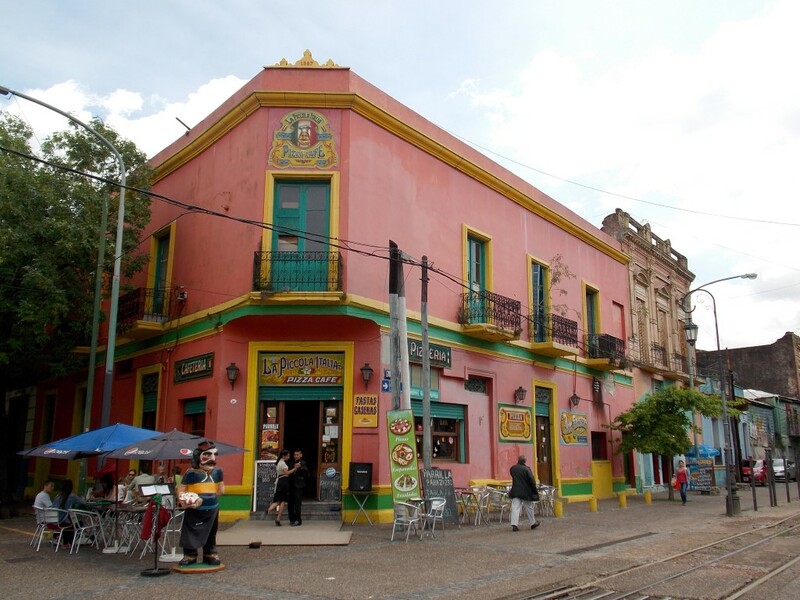 As one of the most cosmopolitan metropolises in South America, Buenos Aires has an amazing history and strong culture. 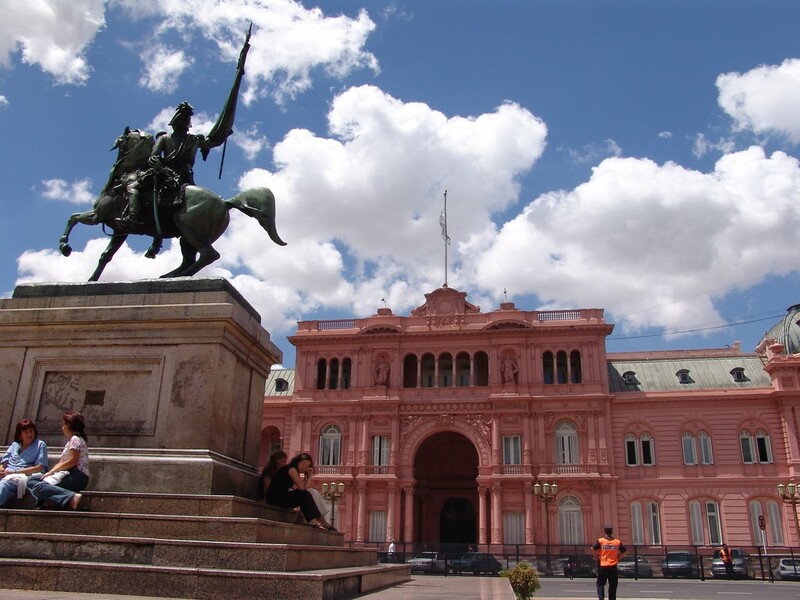 The tour will include a visit to the Plaza de Mayo and the Casa Rosada presidential palace with the famous balcony from which Juan and Evita Peron greeted the masses. During the evening you will experience quintessential Buenos Aires at its best with a wonderful dinner and authentic Tango show. In the morning you will be met by your driver for the Private Transfer from the hotel to the domestic airport for your one hour and forty-five minute flight to Iguazu Falls located in Iguazu National Park. 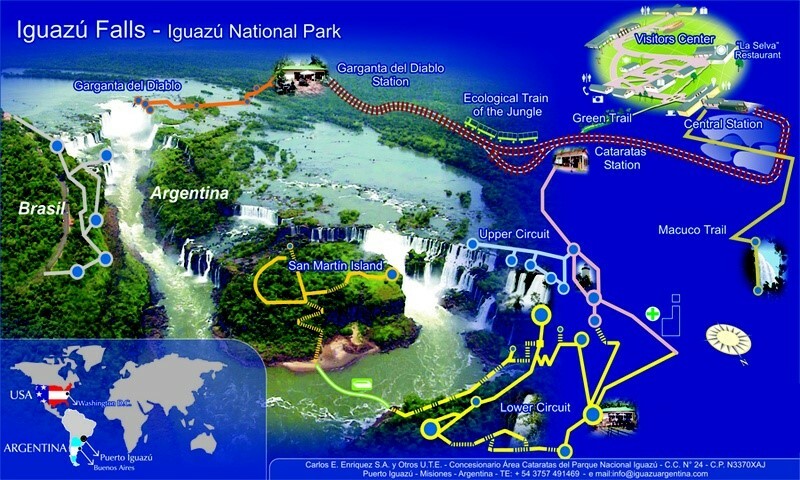 Locted in Misiones Province in the northeastern tip of Argentina and bordering the Brazilian state of Parana to the north, Iguazu National Park jointly with its sister park Iguacu in Brazil, is among the world’s most visually stunning natural sites due to the numerous massive waterfalls. The National Parks became a World Heritage Site as of 1984. The width of the Falls is a staggering 3 kilometers long and the river drops a total of 80 meters during over a series of stepped falls. The river is aptly name afer the indigenous term for “great water” and forms a large bend in the shape of a horseshoe in the heart of the two parks. This constitutes the border between Brazil and Argentina before it flows into the mightly Parana River less than 25 kilometers downriver from the park. 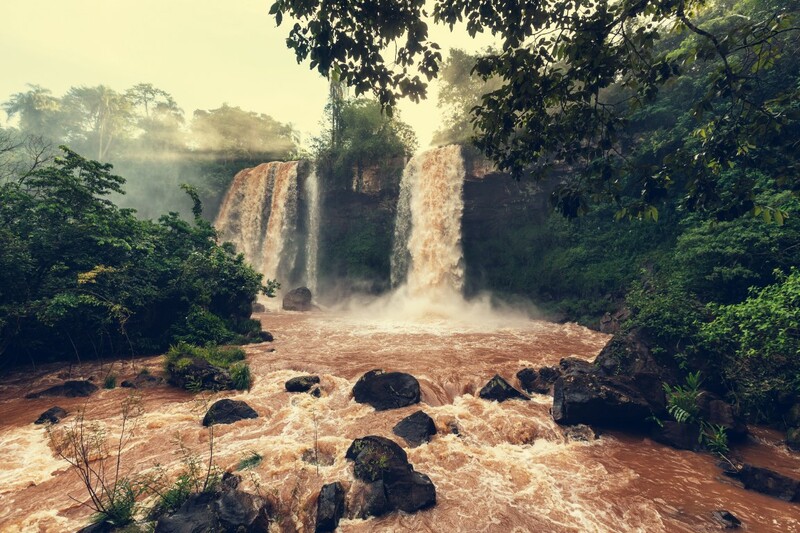 Large clouds of spray permanently soak the many river islands and the surrounding rainforests, thus creating an extremely humid micro-climate favoring lush and dense sub-tropical vegetation that is responsible for the diverse fauna in the area. The Iguazú Waterfalls consists of 275 separate cascades that can be seen and experienced through several different vantage points. 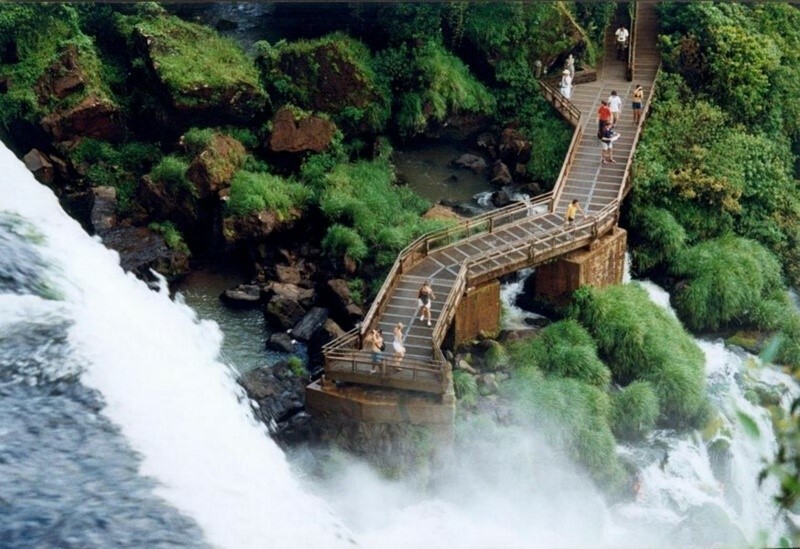 The footbridges and the navigation tours take the visitors as closer to the waterfalls as you would dare to go, providing an unforgettable experience. From each of the view points, visitors can enjoy amazing views in the middle of subtropical vegetation full of shrubs, birds and wild animals. Leaving Puerto Iguazu behind, you will cross the border into Brazil and visit Devil’s Throat, which is the largest waterfall in the region and one best seen from the Brazilian side of Iguassu Falls. Here you will witness 14 waterfalls drop 350 feet with such force that a 100 foot tall cloud of mist remains permanently suspended in the air overhead. This area is famous for its rainbows and naturally there are great photo opportunities everywhere you look! 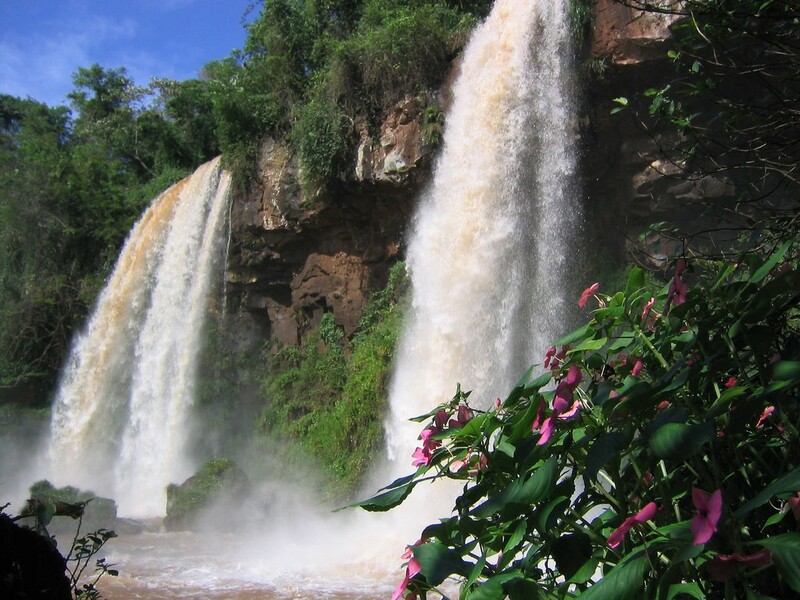 For a close up of the Falls, walk through the subtropical forest of Iguacu National Park to the edge of Salto Floriano. From there you can take the elevator to the top of the Falls, or even walk out over the Falls at Salto Union. Welcome to San Carlos de Bariloche! Following breakfast you will be taken by private transfer from the hotel to Iguazú Airport for the flight back to Buenos Aires and then a connecting flight to San Carlos de Bariloche. During the flight from Buenos Aires to Bariloche you can peer out the window at the frosted peaks that surround this lakeside city nestled in the foothills of the Andes. Set along the banks of Lake Nahuel Huapi which is about 40 miles long, Bariloche is the gateway to Patagonia’s Lake District. You will note a distinctly alpine flavour indicative of its strong Central European influence which is most apparent in the wood and stone architecture of the city center. It is also famous for being an international skiiking destination which adds to Barilcohe being known as “Little Switzerland”. 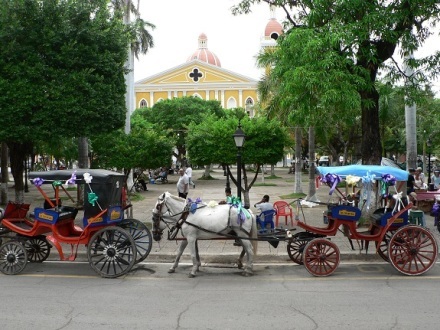 After arriving you will have a private transfer to your hotel and dinner will be on your own. 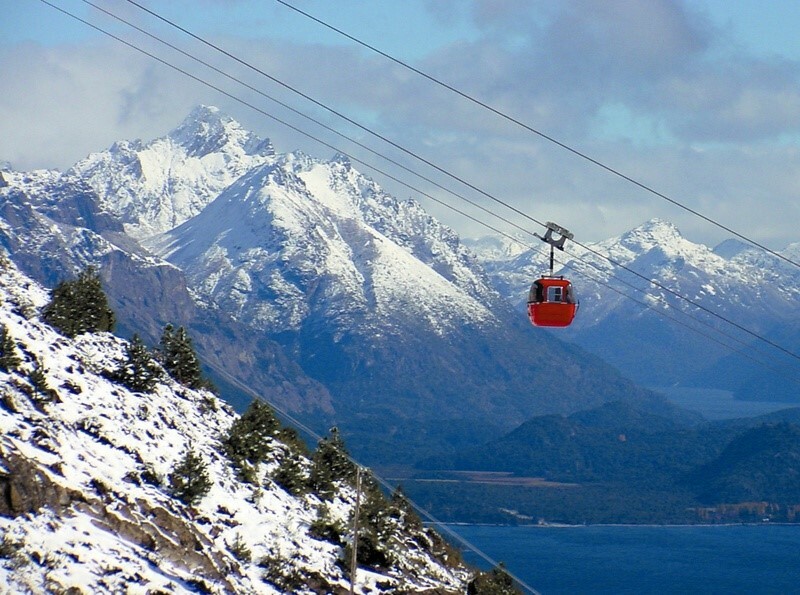 Today you will have a full day discovering Bariloche with the best multi-sport adventure tour in the Lake District. 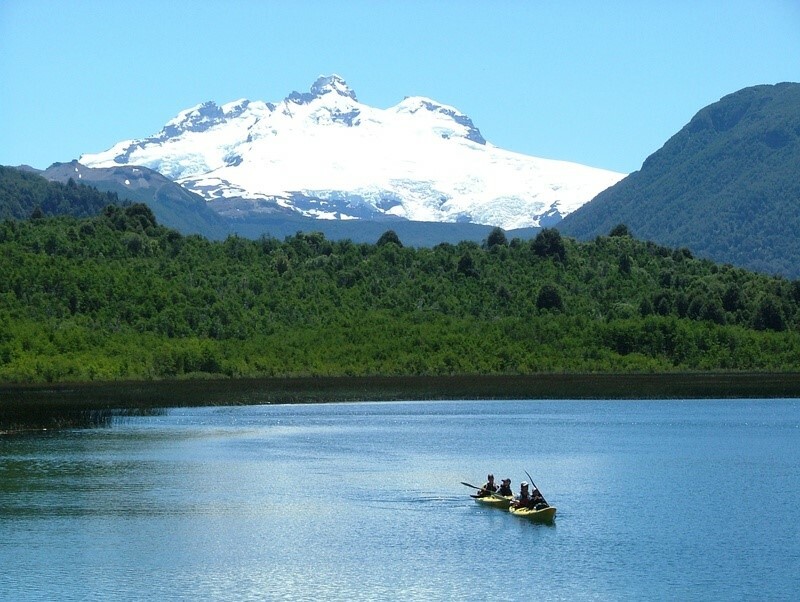 Paddle the pristine waters of Nahuel Huapi & Moreno Lake, enjoy a Gourmet Outdoor lunch and Wine Tasting by the lake in a calm bay, and explore on foot and reach “Miradores del Brazo Tristeza”, with stunning views of Mount Tronador, the lake & the Andean landscapes. Today’s tour starts from Puerto San Carlos and / or scarf in Llao Llao. After a voyage of 11 km. (approximately 30 minutes by boat), we arrive at Puerto Anchorena on Victoria Island. It is feasible to hike and walk around the island, visiting the former conifer nursery. You can take a chairlift to the summit of Cerro Bella Vista at an altitude of 900 meters high that affords spectacular views. The next stop will be Puerto Quetrihue, on the peninsula of the same name, where you can visit the world famous Myrtle Forest. This is a unique arboreal formation with ancient trees. The bark of the tree is cold, totally smooth and tan. 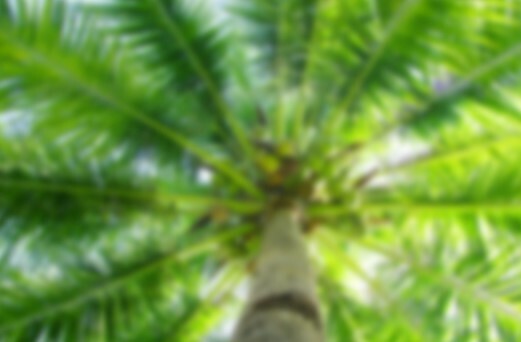 It has white flowers similar to orange blossoms and violet fruits. The Myrtle Forest is protected and has been declared a Natural Monument. 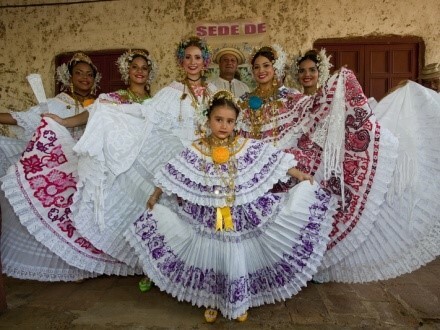 Today you will visit the Estancia Peuma Hue which offers a wide range of exciting outdoor activities and services. You can go horseback riding and hiking right on the property passing along wonderful mountain trails (that also link to the National Park trail network). They are ideal grounds for birdwatching and nature enthusiasts as well. Lake options include swimming on warm days, even with the horses, to paddling sea kayaks. The horseback riding expedition starts with the guide matching a suitable horse for your personality and skill level. Then you head out over the trails chosen by the guide to maximize enjoyment of the beautiful surroundings of the national park. 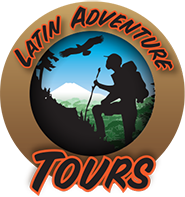 After a gourmet lunch, you will enjoy being in paradise with the large selection of hiking and trekking trails criss-crossing pristine forest, ancient rocks, gorges, hilltops and stunning waterfalls with gorgeous views over the Gutierrez and Mascardi Lakes. You may choose a more rigorous trail leading to different waterfalls or a more peaceful walk through the valley under ancient trees and forests. After breakfast you will head to the Bariloche airport for your flight to El Calafate. Located about 900 miles south of San Carlos de Bariloche, El Calafate is the gateway to the Perito Moreno Glacier and world-famous Glaciers National Park. It was once a rough frontier town close to the border of Argentina and Chile that was known for the Estancias, or ranches. Now its claim to fame is its prime location as the jumping off point to some of the most spectacular natural wonders in the world. 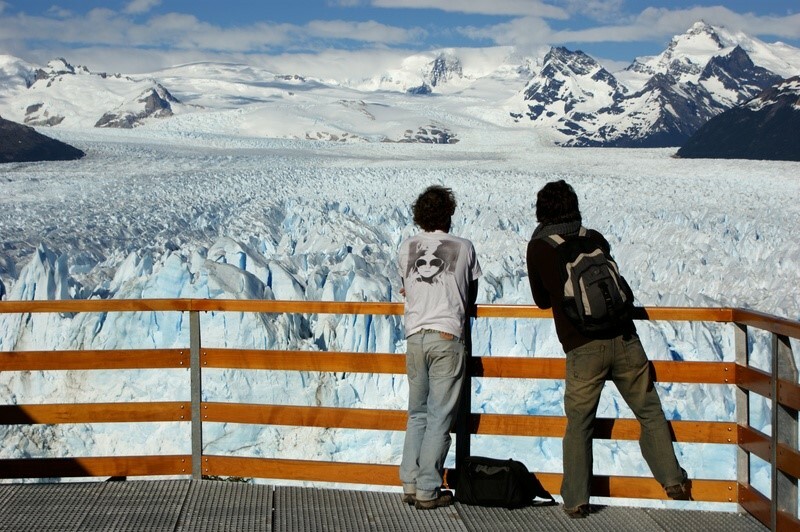 You will have the remainder of the day/evening at leisure to explore on your own and prepare for the extraordinary adventure to Perito Moreno Glacier tomorrow. Today’s journey begins with a drive of about 80 kilometers for our full day excursion to Los Glaciares National Park which is a UNESCO World Heritage Site. Los Glaciares is the second-largest national park in Argentina and comprises more than 1.700 square miles and nearly 50 large glaciers. 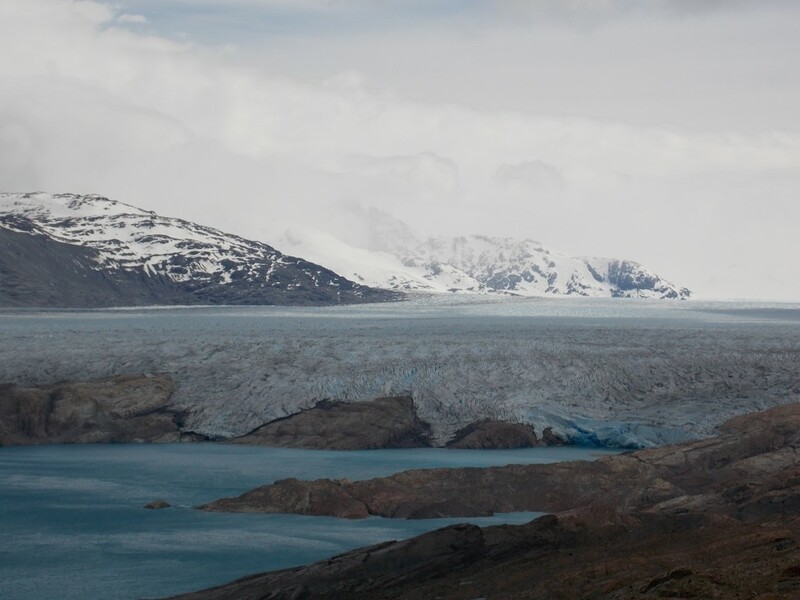 These glaciers are fed by a giant ice cap (the largest continental ice extension after Antarctica) that begins in the Andes and occupies well over a third of the park’s total area. During our explorations, we’ll discover the wondrous Perito Moreno Glacier, a pristine marvel towering nearly 200 feet above Lake Argentino. It is named after Francisco Moreno, a 19th-century Argentinean explorer who helped resolve his country’s border dispute with neighboring Chile. The constant, cyclical movement of Perito Moreno’s ice mass often forces the glacier to “calve”—an iceberg “birthing” process in which smaller chunks of ice fracture and break off from the glacier to thunderous accompaniment. This spectacle can occur at any time, so we’ll hope to be lucky enough to witness an iceberg calving. This magnificent tour combines the navigation to the Upsala glacier area with a picnic day in Estancia Cristina, located on the right bank of the glacier. The tour departs, after picking you up at your hotel in El Calafate at 7:00 a.m. from port De la Cruz, which is located in Punta Bandera. 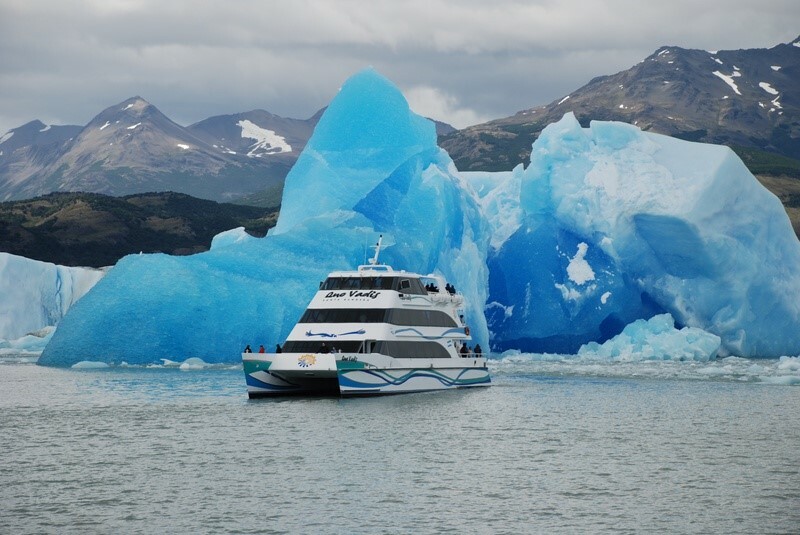 You sail in the north arm of Lake Argentino to the Upsala channel and reach the western front of the Upsala glacier where you can appreciate it from the boat. Enjoy browsing icebergs and stunning landscapes. 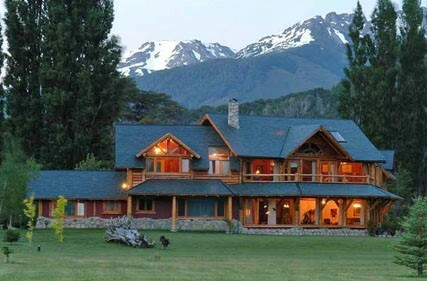 Then, you will head by boat towards the Cristina channel and then to the estancia. 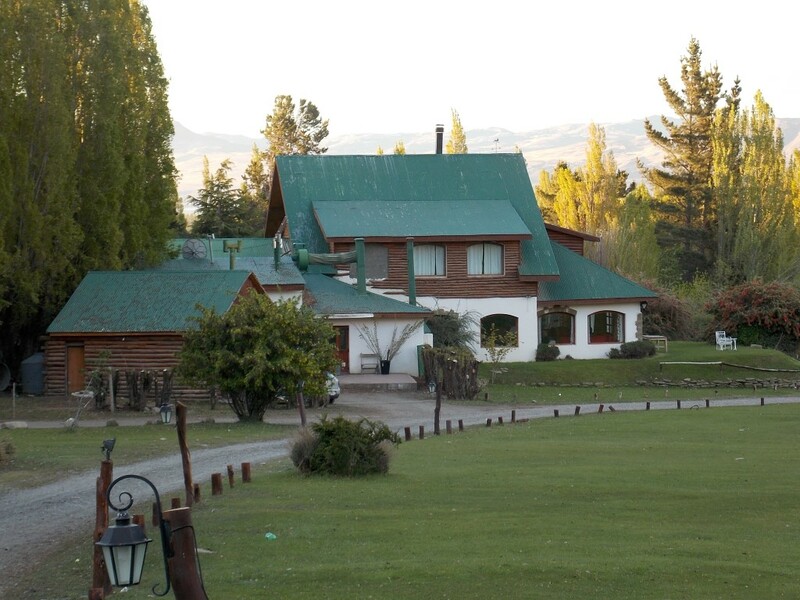 When you get to the estancia, you will have a guided tour to the Costumbrista Museum (former shearing shed) and experience a 4×4 adventure journey, admiring panoramic views from the Upsala Balcony in a 9.5 km travel with a gradient of 550 meters above sea level. Then, you will get to the shelter of Hielos Continentales and undertake a 30 minute walk on ground of glacial erosion. There, you will have a privileged view of the Eastern Front of the Upsala Glacier, Lake William, Southern Ice and Cordillera de los Andes. Finally, you will go back to the estancia and to the boat towards port De La Cross at 19:00 Pm and then on to El Calafate. 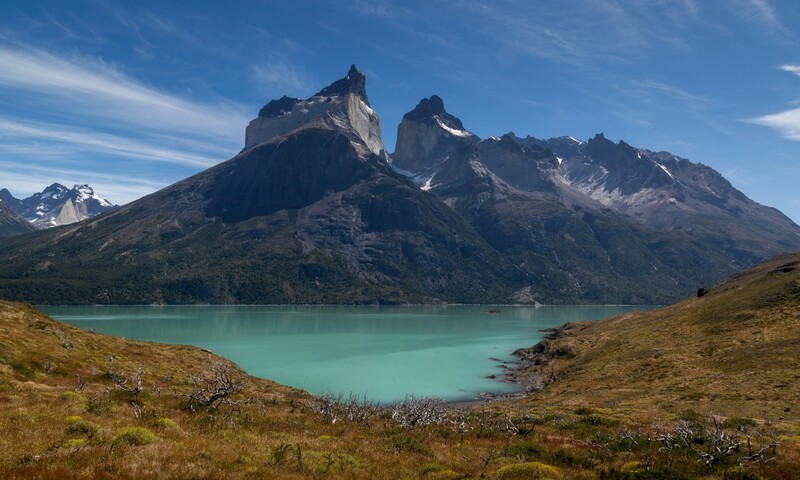 Welcome to Torres del Paine National Park! Today we will journey over land for approximately 3 hours to Torres del Paine National Park which is located in the heart of Patagonia at 150 kilometers north of Puerto Natales and 300 kilometers south of El Calafate. 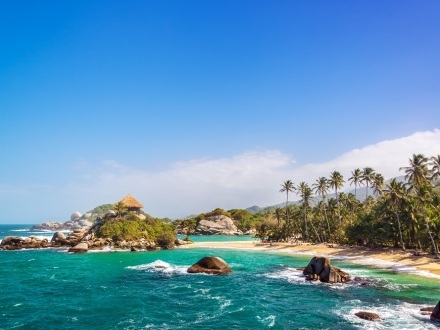 Considered by many to be South America’s finest national park, as well as one of the most remote and strikingly beautiful places in the world, the National Park covers an area of 242,000 hectares, crossed by 150 km of gravel roads and hundreds of miles of superb trekking trails opening up to dazzling panoramic views of countless natural attractions. 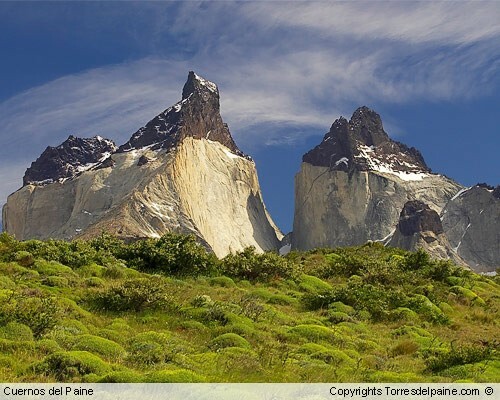 At 57.03 degrees south latitude it is formed around the impressive Paine mountain range which is completely independent of the Andes Mountains. Due to its proximity to the sea the park has a temperate climate with many sunny days. We will spend two nights here to ensure we cover some of the most important attractions in the park such as Los Cuernos, Mount Paine Grande, Salto Grande (Big Waterfall), Lake and Grey Glacier as well as opportunities to see wildlife that is protected by the park’s status as a UNESCO Biosphere Reserve site. You’ll start out our day this morning with an expedition to Lago Grey which is one of the park’s largest and most famous lakes. 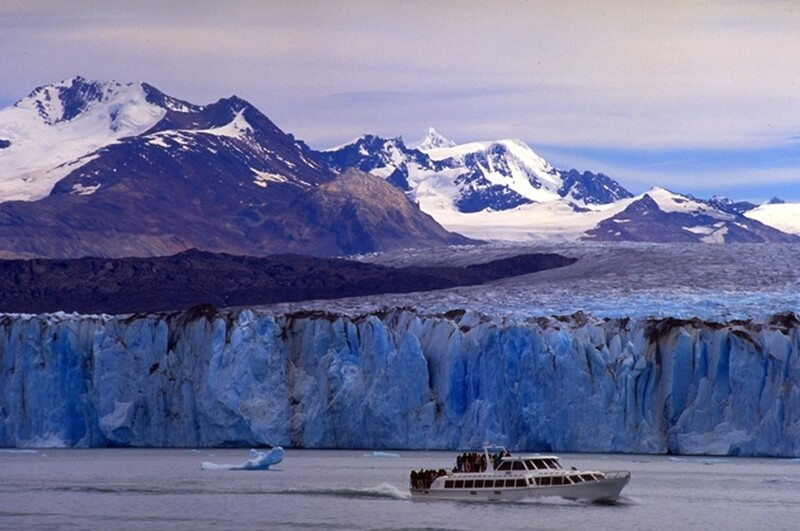 An excursion on a small boat affords closer views of the gigantic icebergs – calved from Glacier Grey – that are found floating all over the lake’s surface. If the weather cooperates you’ll be able to navigate around the icebergs and make your way straight to Glacier Grey itself. There you will be mesmerized by such incredible views of its jagged blue-white walls jutting up into the sky. We’ll culminate this incredible experience with a trek along the shores of Lago Grey where hug blue icebergs can be seen resting against the sandy beaches. Later you’ll return to the hotel for a well-deserved dinner. Today you will bid the Torres del Paine National Park farewell when you depart after breakfast for the overland transfer back to El Calafate. The remainder of the day is at leisure followed by an authentic Country Dinner and Show in the evening. Welcome to Usuaia and the End of the World! 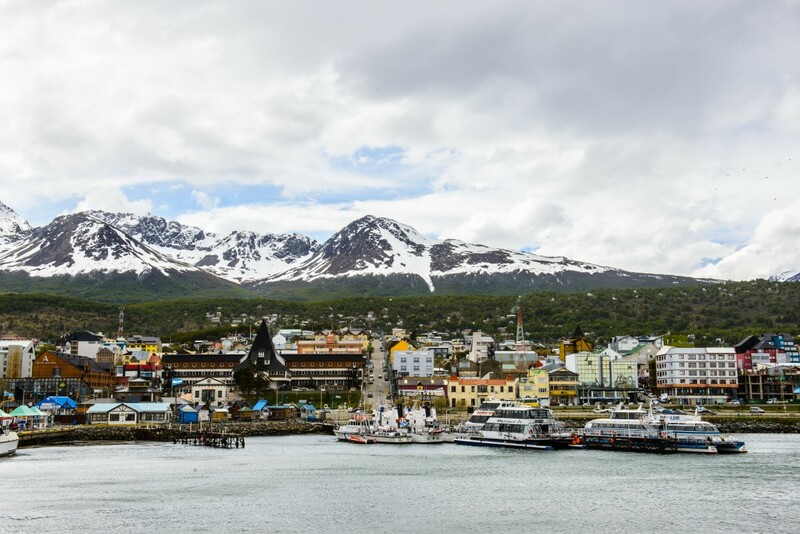 Today is a travel day as we depart from the hotel by private transfer to El Calafate Airport for our flight way down south to the end of the world – Ushuaia. Upon arrival in Ushuaia you will be transferred in a private vehicle to your hotel. After checking in you’ll celebrate your arrival at the end of the world with a welcome dinner comprised of typical southern Patagonian cuisine. 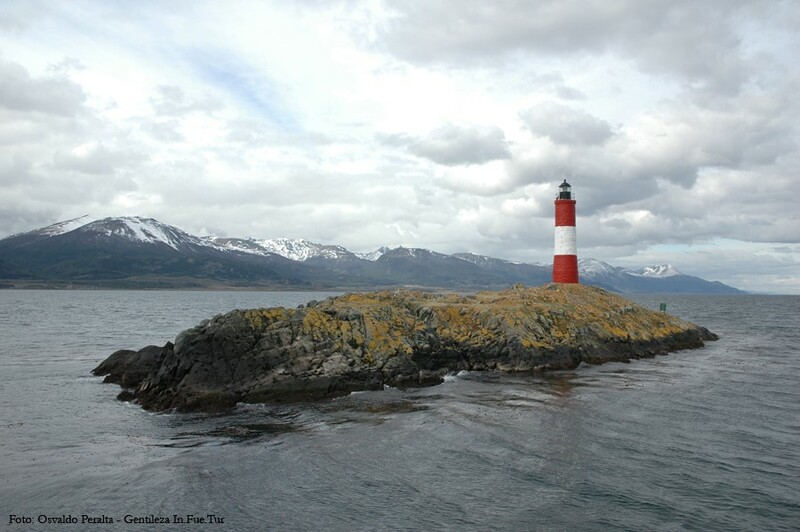 Tierra del Fuego National Park is known for its remote natural beauty, located only 11 kilometers from Ushuaia and the end of the world. Its topography is extremely varied consisting of craggy mountains, pure rivers, valleys, lakes, and picturesque streams. Seeing the majestic Beagle Canal for the first time is a sight not to be forgotten. 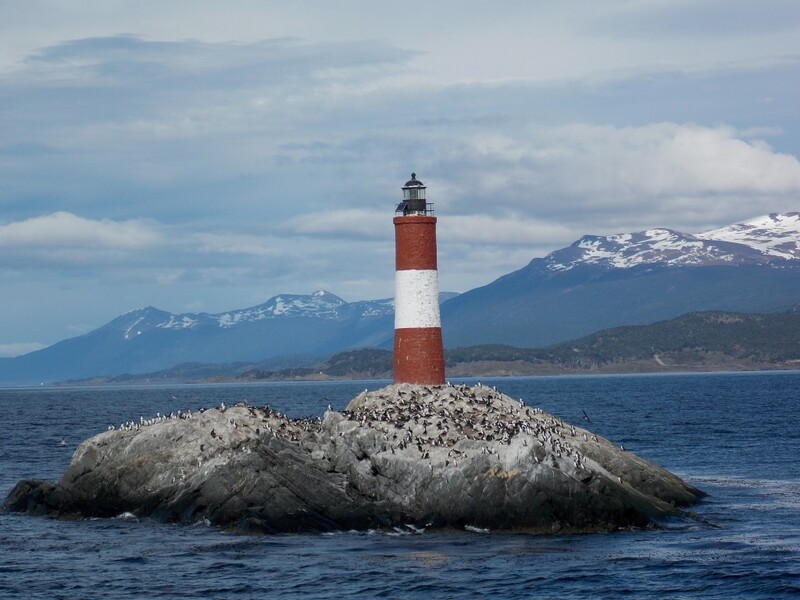 A little-known fact is that Tierra del Fuego is actually as island and the famous Strait of Magellan separates Tierra del Fuego from the rest of South America. During the summer beautifully colored flowers can be admired and you may have the chance to spot common local mammals such as foxes, rabbits, muskrat, and beaver. We will begin with an epic journey back to a time when convicts rode the End of the World Train each day to chop wood used for cooking and heat to keep from freezing to death. 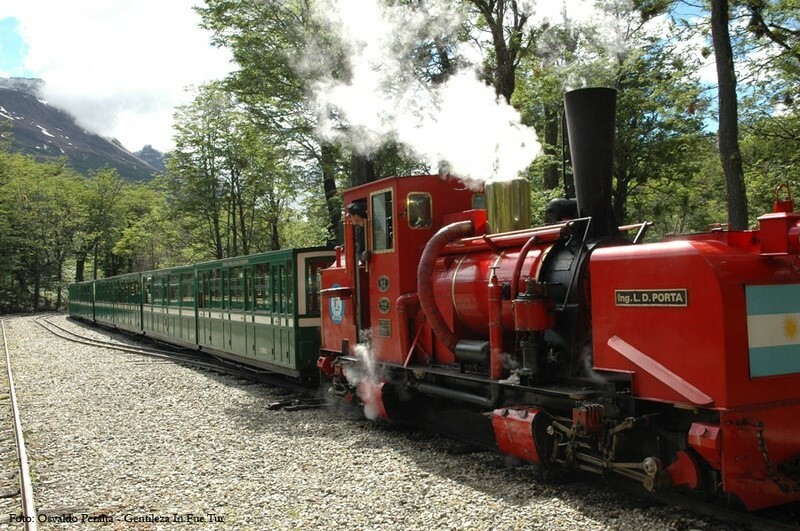 The engines and cars may not be the same today – it’s a vapor locomotive replica of the original – but the route remains unchanged thus offering a very unique experience. After riding the End of the World Train you will continue through the valley of the Pipo River and enter Ensenada Bay with the picturesque islands, Redonda and Estorbo in full sight. On the Chilean coast of the Beagle Channel you can admire the Nevado Mountains. Later you will arrive at Roca Lake for a nice hike along the edge of the lake to Lapataia River. There is an amazing scenic overlook of Condor Hill which marks the border between Argentina and Chile. You begin sailing out of Puerto Tourist our city, towards the Beagle Channel, enjoying the scenery as we move away from the panoramic view of the coast of Ushuaia, overlooking the most important buildings, Museum (old prison), Museum of the End World, the industrial area, and mounts Olivia and Cinco Hermanos. As we sail to the southwest we will approach the island of Los Lobos, where, from the boat, you may view sea lions in their natural habitat. During the afternoon, we drive to the Island of Birds where we have the opportunity to spot different species of marine birds. Continuing to the Eclaireurs Lighthouse located in the archipelago of the same name, the highlight is the Monte Cervantes which is a ship that sank in 1930. 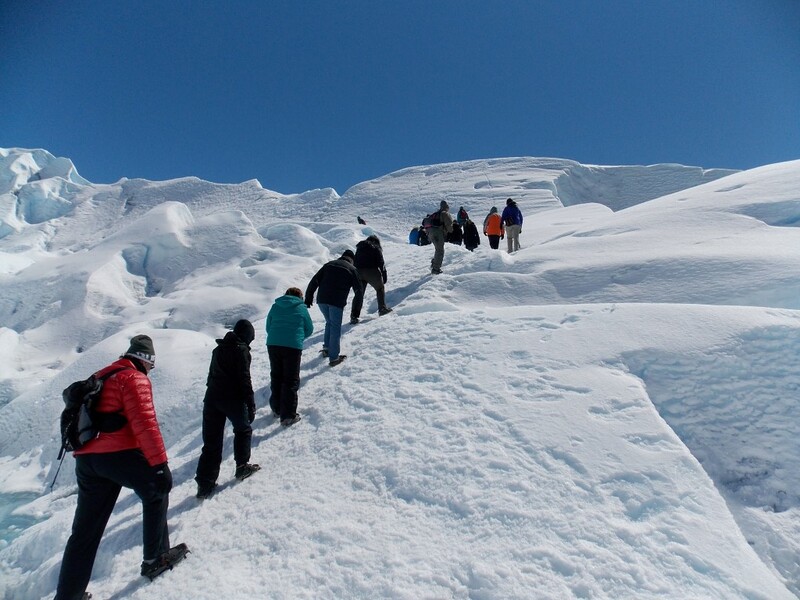 On the return we will experience a stunning overlook of the city and Mount Martial Glacier. Return Flight Home via Buenos Aires. Click Here to Contact Us or Request Additional Information!